UPDATED: Shooting At Green Point's Reddam School Was Organised "Hit"
Pre-school is supposed to be a carefree time in a child’s life, when there’s no homework and you can break down in tears at any time and not get judged by your peers. 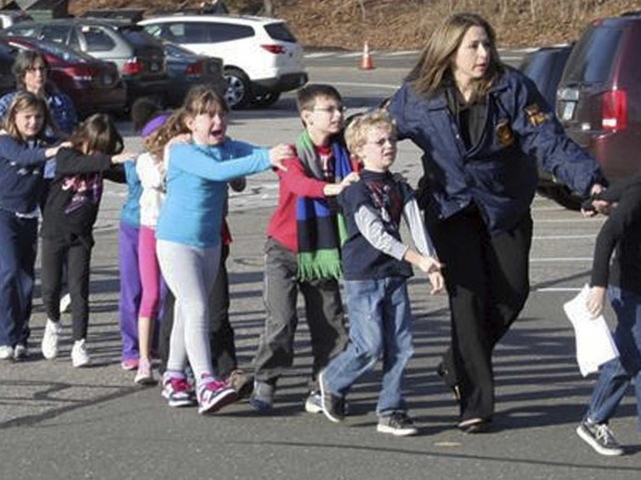 Over in America, of course, parents are becoming increasingly worried about school shootings. 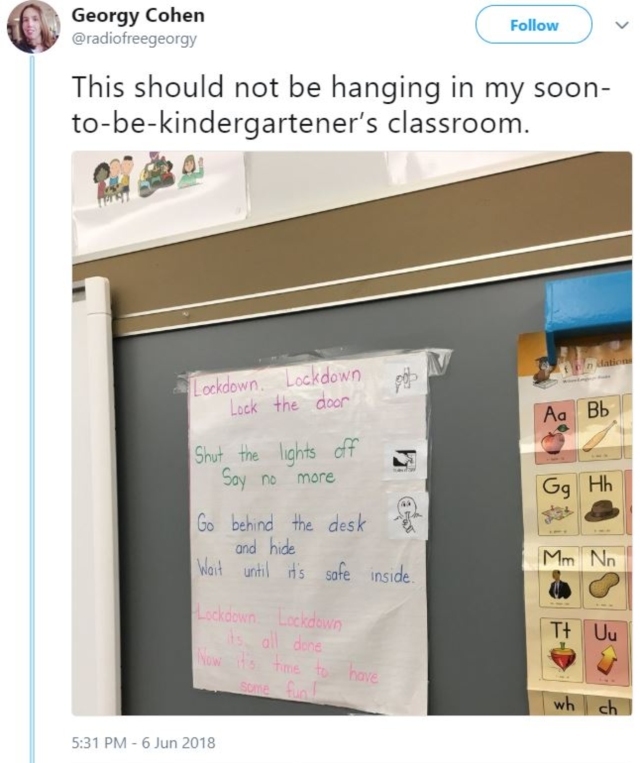 We know that American schoolkids are now figuring out which seat in class has the least likelihood of getting shot, which is chilling, but how about pre-schoolers singing nursery rhymes about it? 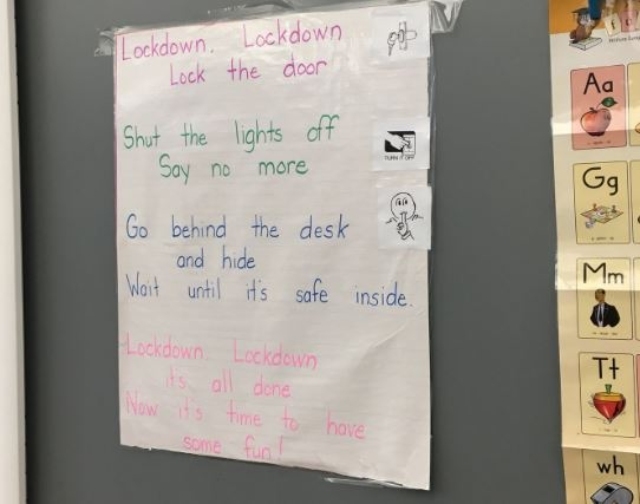 That’s what it has come to, because rather than enforce stricter gun control measures they’re singing a sick, twisted version of ‘Twinkle, Twinkle, Litte Star’. “Z was excited about it as a game to see if you can stay quiet for ‘one whole minute,'” she tweeted. In case your eyes aren’t quite what they used to be, we’ll get in closer. If that doesn’t make your stomach churn, you have a steelier resolve than most. You would think that a tragedy like Sandy Hook, where 20 children aged between six and seven were murdered, might have kicked those gun reform laws into action, but the NRA’s all-powerful reach has far too many politicians in the pocket.